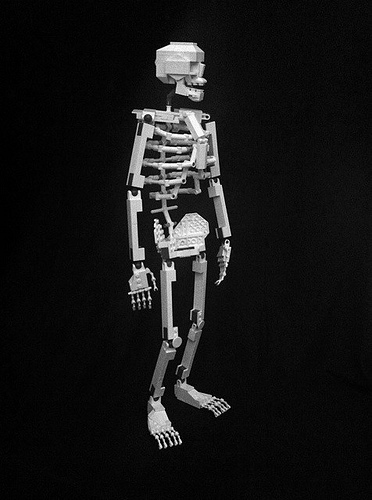 I’ve never seen a fully articulated Lego skeleton sculpture until now. This model by Clay Morrow was real enough to fool me from the thumbnail. The rib cage is especially well-done.